A Debt Consolidation loan helps you to combine several (or all) of your unsecured debts (credit cards, personal loans, payday loans, cash advances)into one, a new loan that has a better interest rate, monthly payment or both. You figure out all your debts or the debts you want to combine into one loan. Typically, these would be your unsecured (not car or home loans) loans with the highest interest rates and/or monthly payments. Your goal is to save money over time or to lower your monthly payments if you’re struggling with paying them all. If you had five loans or credit cards with monthly payments totaling $200 per month, you can sometimes pay them all with the proceeds of a new loan and end up with one monthly payment that is less than $200. This saves you money and it saves you the time and confusion of paying multiple payments each month. Having multiple payments each month can cause you to miss paying a loan or credit card on time even if you have the money. This can make your interest rate increase or damage your credit. If you use a personal loan to consolidate your credit cards, you can also pay off your debt faster. If you just keep paying your minimum payments each month, you never pay off the debt and it can cost you TONS of extra money. That means it takes you 11 year and 10 months to pay off your credit card and you end up paying #3147.57 more than you borrowed. Not a great deal is it? How Out Figure Out if Debt Consolidation Makes Sense for You? Here are some steps you can take to see if combining your credit cards into one loan is right for you. Review each credit card and its interest rate. Then and figure out how many months it will take you to pay them all making your current payment. Compare this to the how long it would take you pay off a new consolidation loan. The loan may offer a lower interest rate than your cards. But is the total cost over the long haul better than what you would pay if you just bumped up your monthly credit card payment? Also, see what the monthly payment will be on your debt consolidation loan. Is it higher or lower than what you pay toward your credit cards each month? If the loan payment is higher, you can make that higher payment to pay off your credit cards faster. Of course, you it has to fit your budget and you won’t get the benefit of just having one payment. If the payment is lower than what you pay to your cards, you need to weight the benefit of lowering your monthly debt payments against the possibility of paying more total dollars over time. In other words, a lower payment usually means the loan will last longer, which means you could end up paying more over the life of the loan. Also, beware of the mistakes some borrowers make when they consolidate their credit card debt. You don’t want to close all your credit card accounts as this can lower your credit score. (Read this to learn more.) But, you also don’t want to max all the cards up again. Then you have double trouble a loan and all the old credit card debt again. The best course of action is to put all the cards, except one (the lowest interest one away) and pay off your one card every month if you use it. However, if you’re overwhelmed by debt and can’t keep up with your monthly payments, it may be the best thing to do. You might also want to work with a credit counselor who can help you create and stick to a debt repayment plan — and read our “How to Fix Your Credit Guide” (this links to the articles on credit) to boost your credit score during the process. Just make sure you use your head and math skills to figure out if you’re exchanging your debt for a “better” loan and that you’re committed to getting your finances organized and debt repaid so you don’t end up in a worse situation. 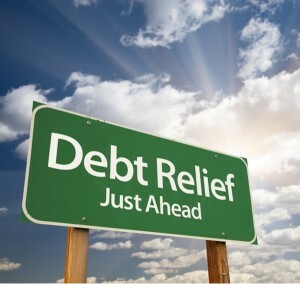 If you decide a debt consolidation is right for you. You can start here to apply.